Facial skin is delicate and can be much more sensitive than the rest of your skin. Why not keep it healthy and beautiful with a natural and paraben-free facial scrub? 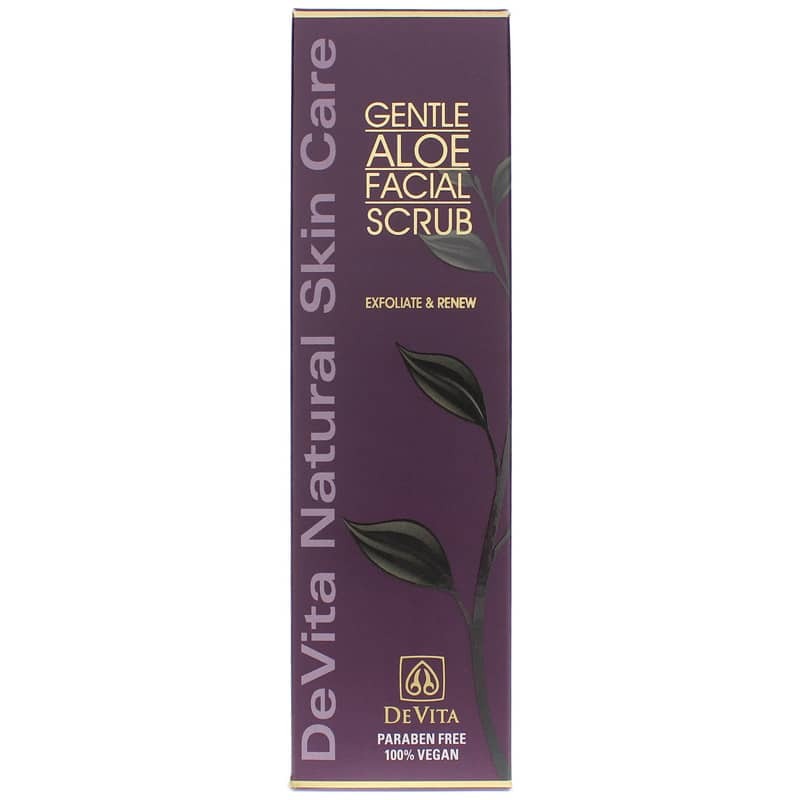 Gentle Aloe Facial Scrub from DeVita provides natural nourishment while scrubbing your skin free of dead and dry skin cells. 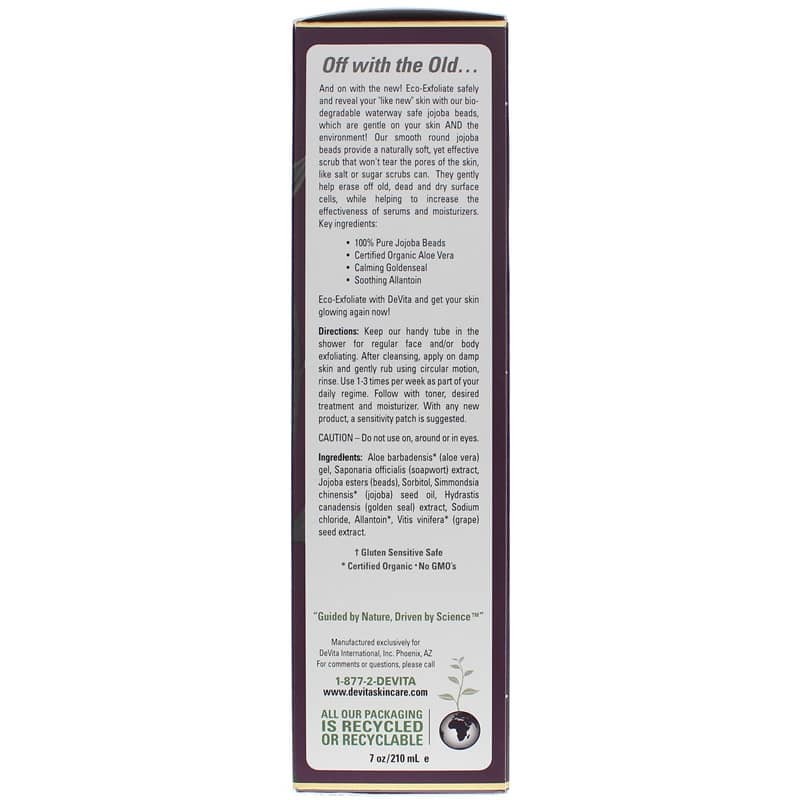 DeVita's Gentle Aloe Facial Scrub is absolutely free from harmful parabens and GMOs. It's also cruelty-free and never tested on animals, making it a great facial scrub choice for vegans. Gentle Aloe Facial Scrub is considered Gluten Sensitive Safe. Healthy skin is important. With completely natural ingredients, Gentle Aloe Facial Scrub from DeVita is the ideal facial scrub for smoother, heathier, and much more beautiful skin. Make the right choice for optimal skin health and give it a try today! After cleansing, apply on damp skin and gently rub using circular motion, rinse. Use 1-3 times per week as part of your evening regime. Follow with toner, desired treatment and moisturizer. If skin is sensitive, dilute with a small amount of DeVita Aloe Vera Moisture Cleanser. Do not use on, around or in eyes. If skin is sensitive, dilute with a small amount of DeVita Aloe Vera Moisture Cleanser.